Seeing a striking color like this makes people wonder why copper doesn't get as much love as other metallics. It's a beautiful natural shade and much more low maintenance than silver hair. Why stop at one shade of red? 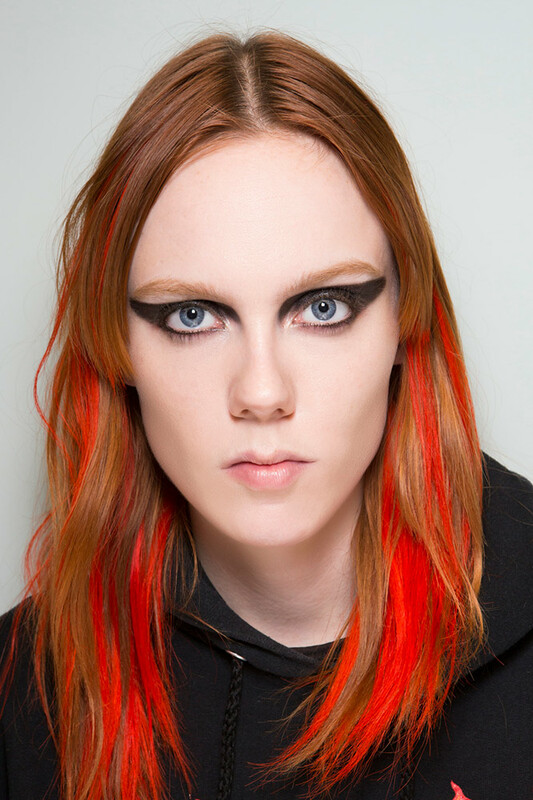 Whether naturally ginger or freshly dyed, add a punky finish to a subtle base with candy apple red lowlights. Don't be afraid to try proper chunky streaks. Is it subtle? Not exactly. But a prismatic burgundy hair color does slay. Embrace a bold shade — and some eye diamantés. 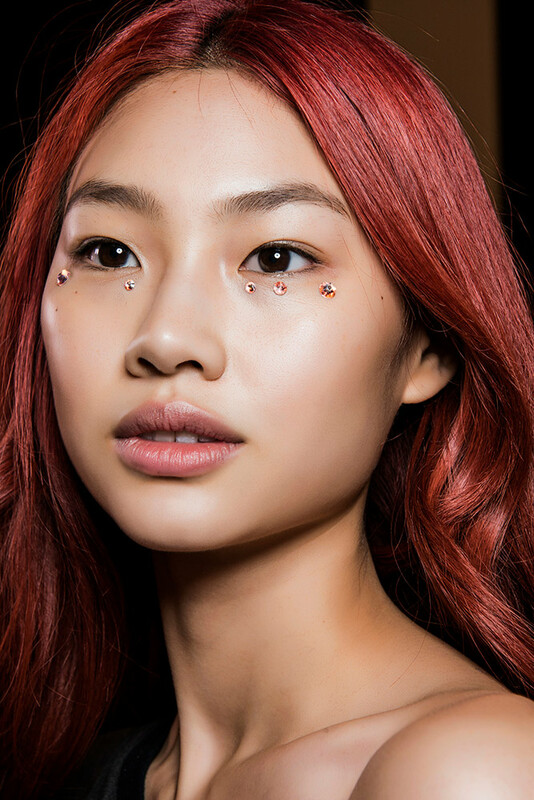 Scared of red hair being too intense? 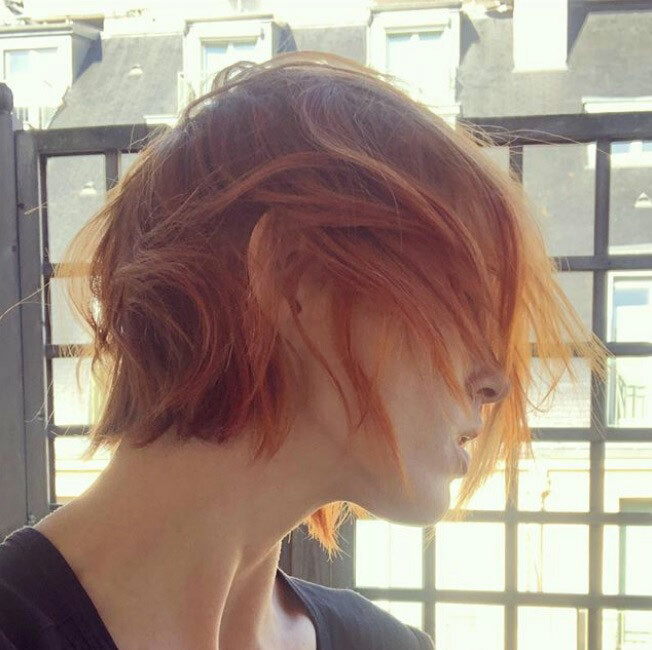 Bring a photo of Kate Bosworth's cinnamon-toned auburn hair to the salon. It's an easy-to-pull-off shade that still has some smolder. 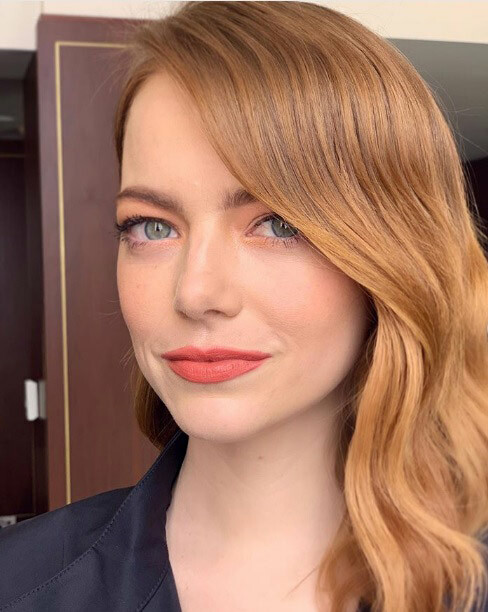 Emma Stone has convinced many people that she's naturally ginger thanks to her flattering color. 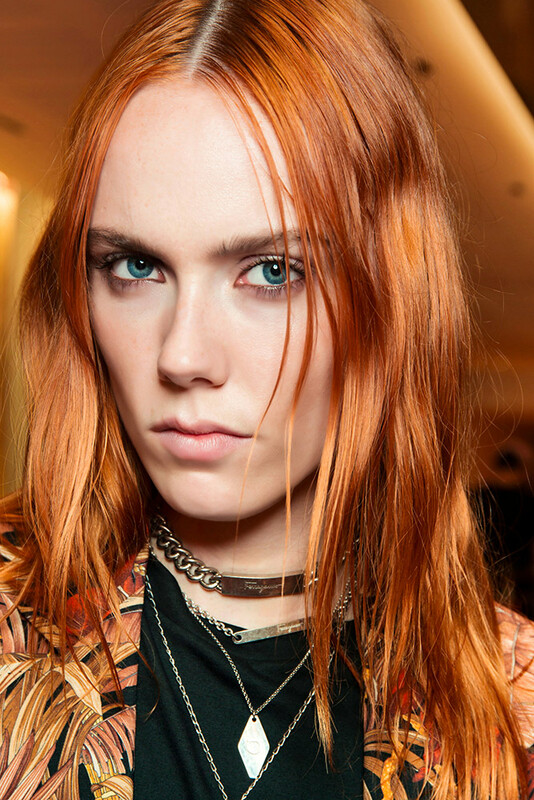 The natural blond's latest red has barely there babylights for a looks-like-it-grows-that-way finish. 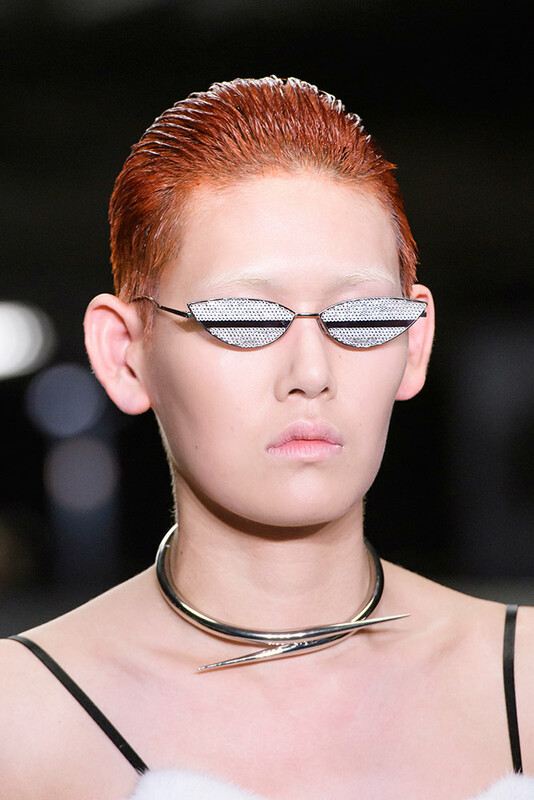 Model Anja Rubik received a makeover for the Saint Laurent Spring 2019 runway inspired by David Bowie in The Man Who Fell to Earth. Draw inspiration from the tribute to the icon. No one said that red hair always has to be bright. Take a trip to the dark side with a deep mahogany color. Bonus: It'll make locks appear very healthy. 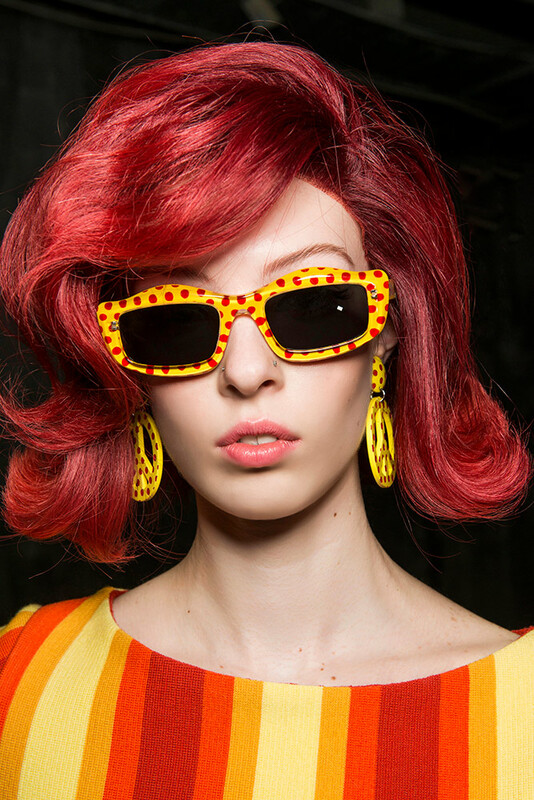 Whether dyeing hair or adding extensions, don't be scared to go loud and proud with a garnet shade. It wakes up the face. 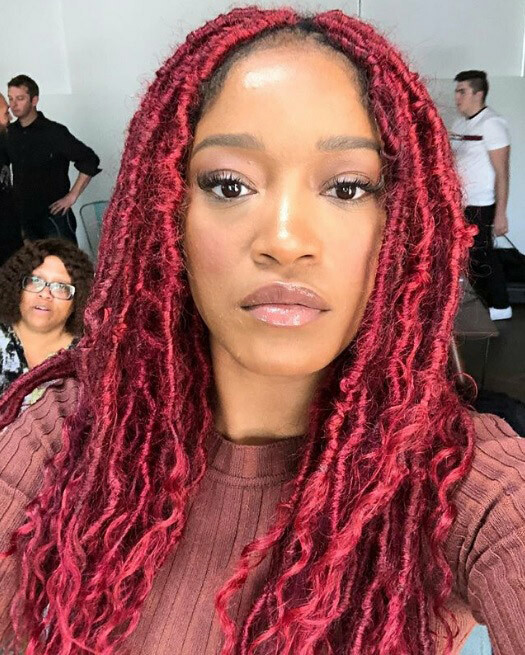 See Keke Palmer's look. 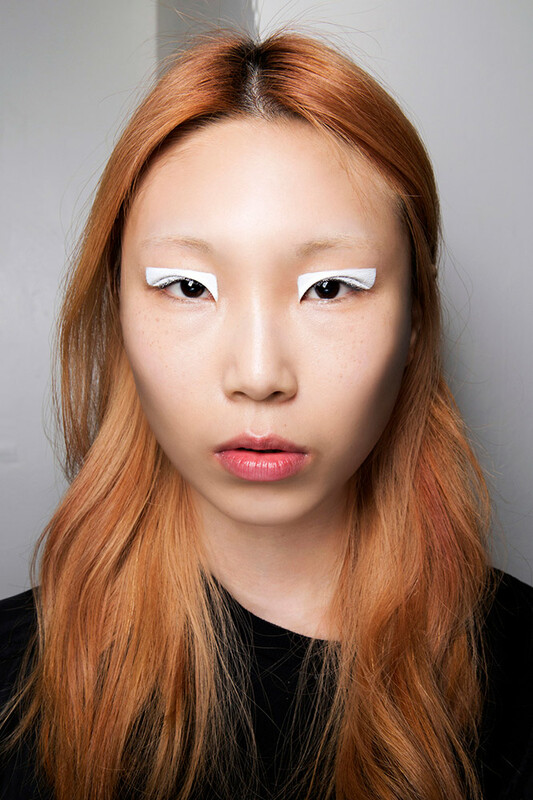 Model EZ's hair was one of the standouts of the Alexander Wang Fall 2018 show. Consider a dramatic makeover like her. Zany glasses optional. Hello, gorgeous. This flattering hair color mixes blond, brown and red, but the resulting warm tint makes it fall into the red hair brigade. 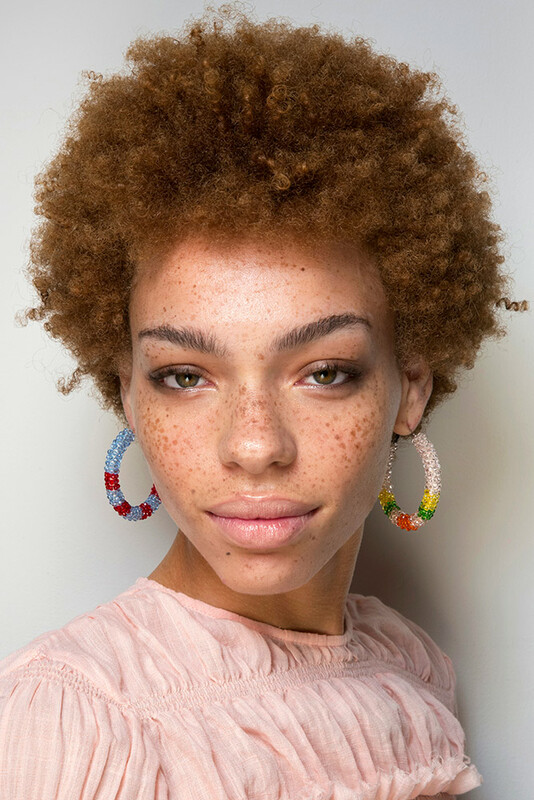 Don't forget about the darker spectrum of ginger hair. 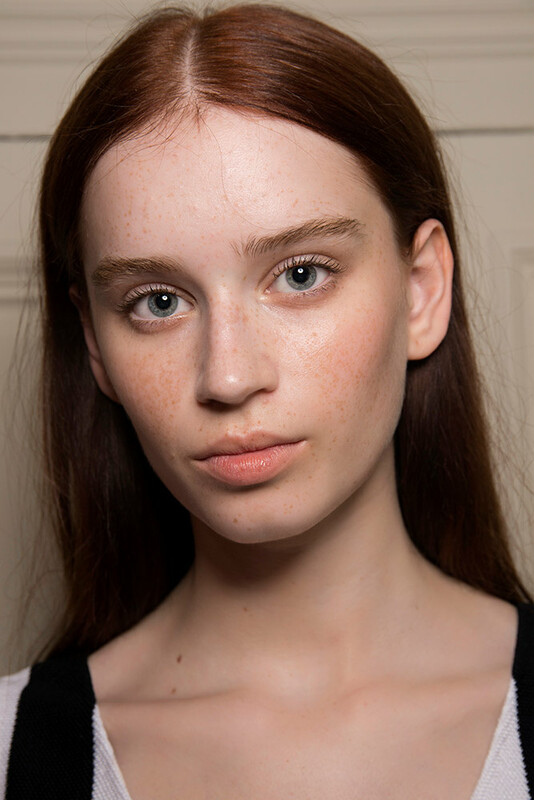 This rich auburn hair color does wonders for eyes and complexions. And it makes hair sing of health. Already born with a gorgeous head of red hair? Take a cue from Madeline Brewer, who recently turned up the intensity of her auburn looks to a roaring red shade. Ask hair colorists about a vibrant glaze. 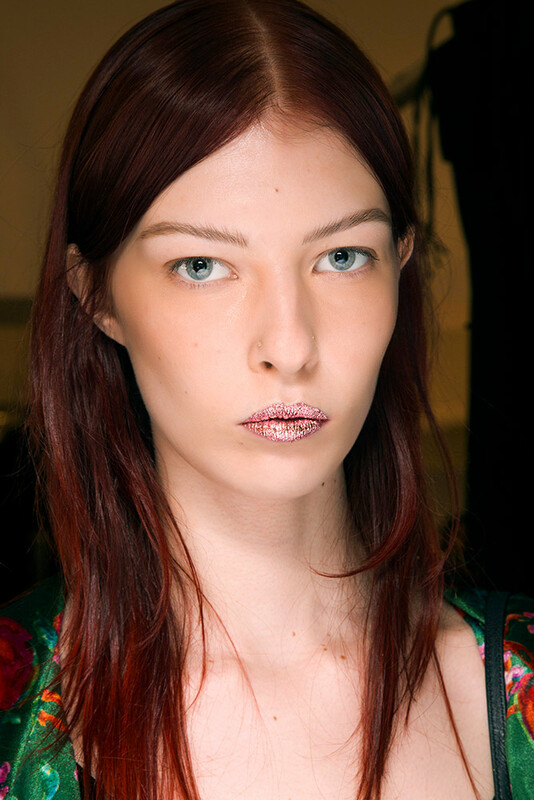 Paler ginger hair colors are brilliant for those who want a bit of blond in their look. 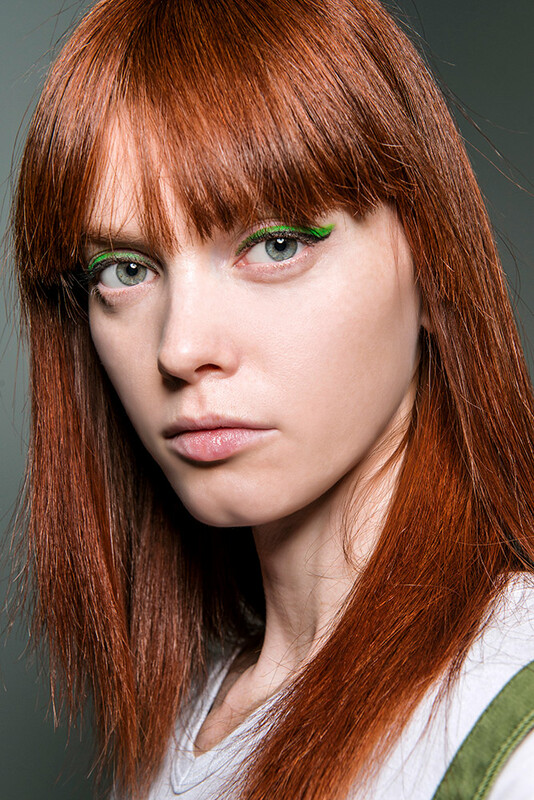 For an edgy finish, cut back on the touch-up appointments and rock visible roots. 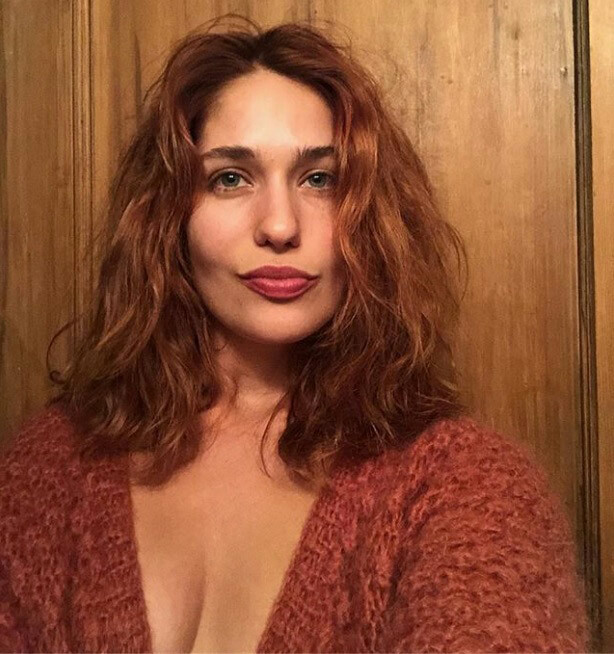 Lola Kirke turned up the heat by replacing her honey blond tresses with warm red waves. Fans of rainbow hair will love a vivid Kool-Aid red dye job. It's not trying to convince people it's a natural color and makes no apologies for its glowing finish. Brighten strawberry blond hair with a tinge of orange. It has just the right amount of drama as well as a Renaissance vibe. It's rich, rich red. This is a classic red that people often think of, and you can't fault it. 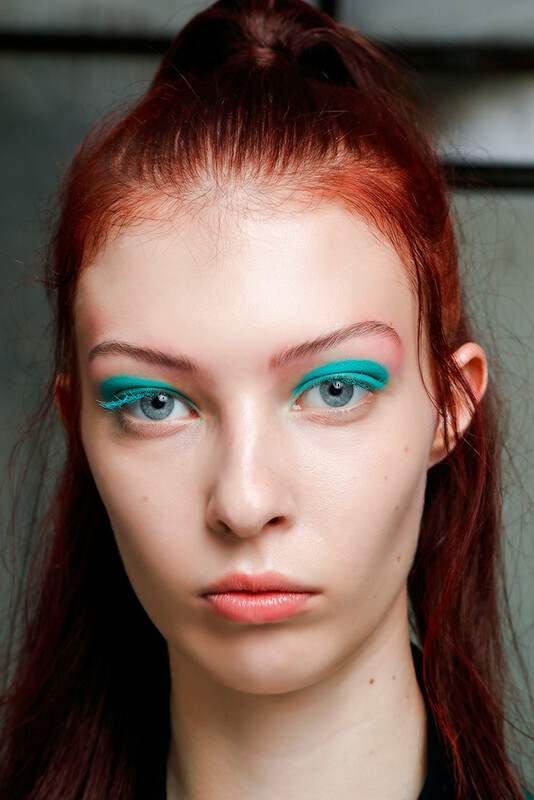 Try neon green eyeliner to play off the flaming mane. Fire-engine red isn't the only way to make a statement as evidenced by Rita Ora's vibrant mane. It might be the gateway to blorange hair. 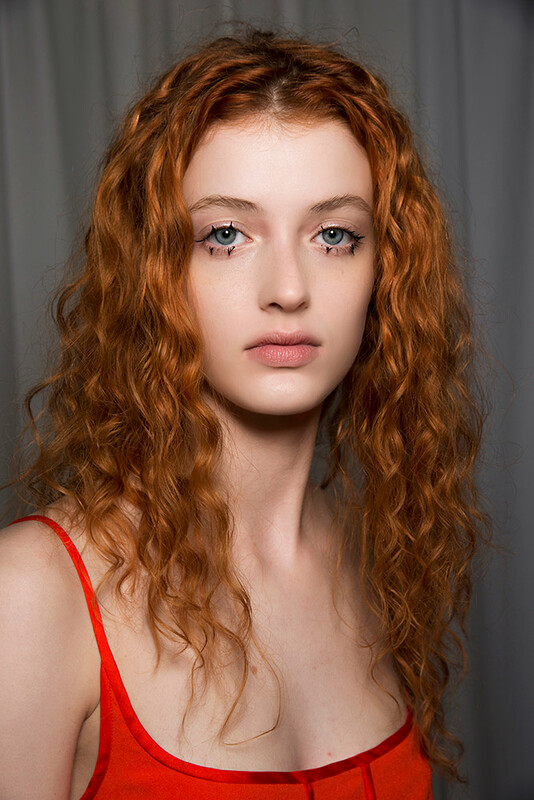 Don't let a fear of color fading stop you from dyeing locks a luscious, saturated red. Maintain it with glossing treatments and by keeping shampooing to a minimum. The post 19 Red Hair Color Ideas That Are Fire appeared first on theFashionSpot.